Forms represent about 83% of all business documents. A typical global enterprise uses an average of 400 complex business forms. If you are using printed forms, then you should know that about 15 to 33% of printed forms are either thrown away due to errors or discarded as they become obsolete after a certain time. Moreover, a printed form will cost extra due to printing and paper cost, but the average processing cost of a smart form is comparatively cheap. Do you know, about 3% of paper forms are filled incorrectly, 7.5% of filed paper documents are lost in transit, and about 90% of the time spent to manage paper forms involves handling and shuffling them? Smart dynamic forms; on the other hand, offer a chance to amend or update the form virtually on the go. In fact, integrated dynamic smart forms have the capability to streamline your organizations’ document management or workflow process management capability by reducing overhead costs. Use of advanced and innovative technology further enhances the capabilities and intuitiveness of interactive forms. Now, it’s easier than ever to create, maintain, and evaluate user-friendly forms that are in compliance with laws, regulations and business policies. Often it is the duty of a domain expert to create and maintain forms. Typically, these domain experts are not technology savvy and may have zero coding knowledge. Techniques such as drag-and-drop, wizards, and visual rules dramatically help in eliminating the need for software programming knowledge. Many enterprises have embraced the digitization, but they still lack the oomph factor leading to success. For a digitization strategy to succeed, you need to automate processes right from start to finish. Relying on human input and manual tasks in a digitized environment is like swimming in a pond when you can easily sail the seas. 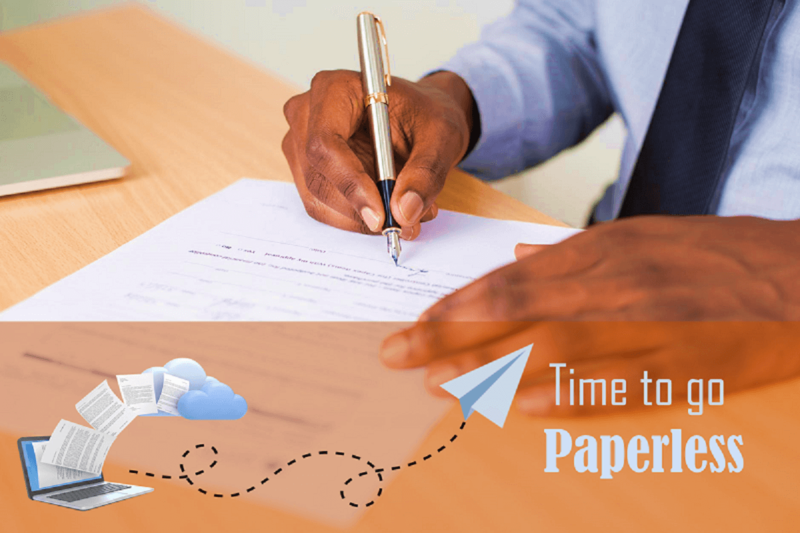 Although many organizations have deployed smart forms, they still depend on traditional ink on paper to capture a signature and validate the authenticity of the document or form. If your employees are spending their time manually entering data, correcting errors and chasing down approvals, they have less time to spend on work that matters – supporting customers, teaching students, or caring for patients. When business conditions change, they don’t have the necessary information at their fingertips to react to changes. These delays can be extraordinarily costly. On the flip side, responsive organizations tend to be perceived in an extremely positive light. When a new business opportunity presents itself, it’s important to roll out the appropriate initiatives quickly e.g. introduce a new product offering or modify internal processes to quickly satisfy changing customer demands. Even something as simple as letting people buy on their mobile phone can have a huge impact. If employees can perform their day-to-day work in an efficient manner, your business initiatives will speed up and your organization will benefit. They can easily perform complex calculations. They are designed to display content dynamically as and when required. Smart dynamic forms can execute explicit data validation. Smart forms are capable of looking up data from your databases and other systems, pre-filling fields and eliminating duplicate data entry. Additionally, they can submit the data to your ERP securely and efficiently. Smart dynamic forms are routed automatically to the relevant approvers. Digital forms enhance visibility into location and status. Enhance the speed of delivery as non-technical users can easily create and deploy online forms by taking advantage of an easy-to-use visual tool and reusable components. Use Cloud to save cost and time as the service provider takes care of the licenses, hosting arrangements, upgrades, and security ensuring you are relieved from the complexity of building, managing and hosting your own smart form solutions. Provide a great user experience by offering user-friendly forms with sophisticated built-in capabilities such as online data entry, data validation, and dynamic content. Additionally, provide flexibility to your users by offering them the freedom to fill in their forms anywhere, any time and using any device they like. Reduce business pressure by reducing time to complete interactions and transactions. You actually help users to complete a transaction smoothly and in the first go. Increase business agility by reducing the time spent by employees in routine tasks which frees them up to focus on customers, students or patients, allows them to react rapidly to changing business conditions and to take advantage of new business opportunities. Reduce administrative overhead as you do not have to incur additional expenses in printing, posting and storing paper forms. Enhance the accuracy of collected data as data validation and pre-population of the dynamic fields eradicates the need to go back and contact users due to incomplete or incorrectly filled forms. Who Should Use Dynamic Forms? Although we see and use automation everywhere in our daily lives from toll booths to GPS directions, many businesses are still lagging when it comes to automating their routine process workflows. Today’s digital infrastructure creates digital infrastructure creates opportunity as well as urgency to go paperless and reduce business inefficiencies. Unfortunately, it’s still commonplace to have many forms on paper, perhaps they are just partially electronic. Remember, paper-based processes have costs associated with them – the cost of the resources, cost of the infrastructure and the indirect cost of the time they consume. Printing, signing and scanning paper, Excel or PDF forms is still too common and unnecessary – there is a better way. Enhance ROI with Smart Dynamic Forms: If you want to replace or transform the way you are collecting or processing information and populating internal systems, then using smart dynamic forms, will help you in getting your processes running smoothly and efficiently. With smart forms, you reduce the chances of committing errors by 71% and consume 51% less time. With modern, visual tools for smart dynamic forms, you can automate the creation, processing, and distribution of business forms by non-technical users in your organization. Digitized forms help you reduce processing costs, minimize errors, and capture fully validated data. Electronic forms and the associated automated processes mean your people can spend their time on the most valuable tasks, react effortlessly to customer demands and changing business conditions so your business can prosper in the 21st century. Let’s build a paperless organization! For paperless processing and to learn more about smart dynamic forms Try Frevvo FREE.